Christmas is over for another year, this is always something of a relief to me. It's such an emotionally loaded day with so much preparation and rushing about beforehand followed by so much clearing up at the end that I find it's often more if a trial than a joy. This year I spent it with my mothers partners family which was far more enjoyable than I anticipated - probably because my uncle (who has spent the last several Christmases we've had together getting blind drunk before questioning my sister about the more intimate details of her love life for a solid 4-5 hours) wasn't there. He's a lovely man but has the capacity to be the most terrific pain in the neck. Also sprouts have quite a catastrophic effect in his digestion. Anyway it was a remarkably civilised gathering this year, the Christmas pudding I made all those weeks ago turned out far better than I imagined possible (there is now no going back from home made) I got lots of books (and other nice things) as well as time to browse through them. This is the kind of Christmas I could come to love, not just because of the books (and other nice things) but because there was a definite sense of peace and goodwill too and now it's on to the new year. I plan to be away for a bit, and probably away from any kind of internet access to so it may be a bit quiet here over the next few days so Happy New Year to anyone reading. I hope 2015 brings more good things than bad for us all. Meanwhile I'll mostly be reading (I hope). 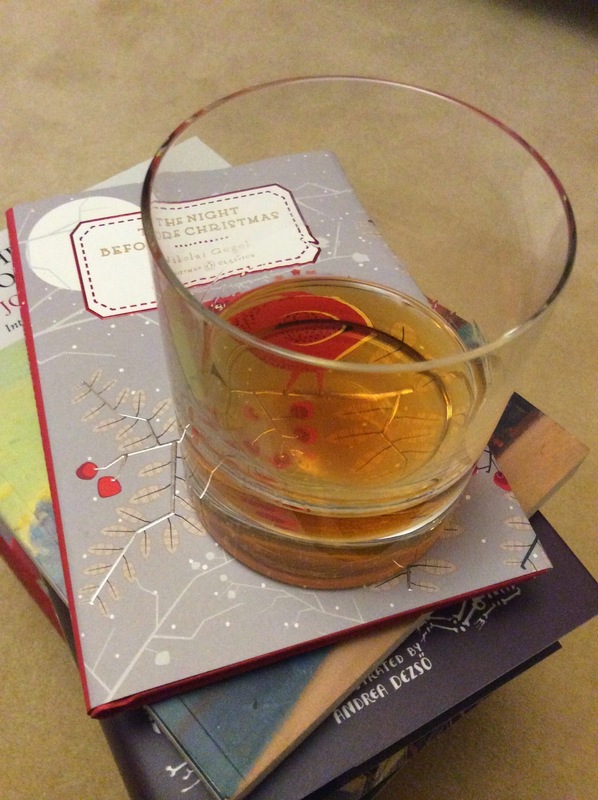 Work is done for the year, I have a pile of books to enjoy, a glass of whisky, and a lot of chocolate to eat. I hope you all have the best possible Christmas. It's the winter solstice today which I guess is the true midwinter - theoretically spring is on it's way from tomorrow, though it hardly feels like that. The last couple of months have been such a blur of work that it's hard to realise that Christmas is almost here. When I first started working in retail Christmas was exciting, even more so when I got my first wine job (it was 1999 and everybody was going to celebrate in style). That basically wore off some years back and I'm increasingly ambivalent about the whole thing now. The rhythm of work horribly seems out of sync with the rhythm of the year, as I get older that's harder to cope with. 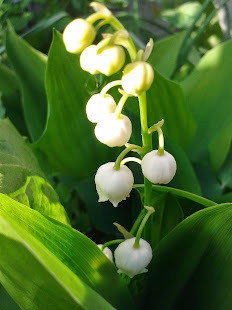 What I feel I should be doing is slowing down and taking time to appreciate friends and family, sharing the good things, and banishing the dark with light and colour - or embracing it with well fed and contented laziness. What I'm actually doing is bracing myself for the 3 busiest days of the shopping year, counting down the hours until I go home on Christmas Eve and reminding myself that I will survive it without ever once explaining to any of our more challenging customers that good manners cost nothing. Or at least nothing more than an extreme effort of will and years of practice/restraint. Meanwhile I've baked and preserved my way to a more than usually home made Christmas and that at least has been deeply satisfying. 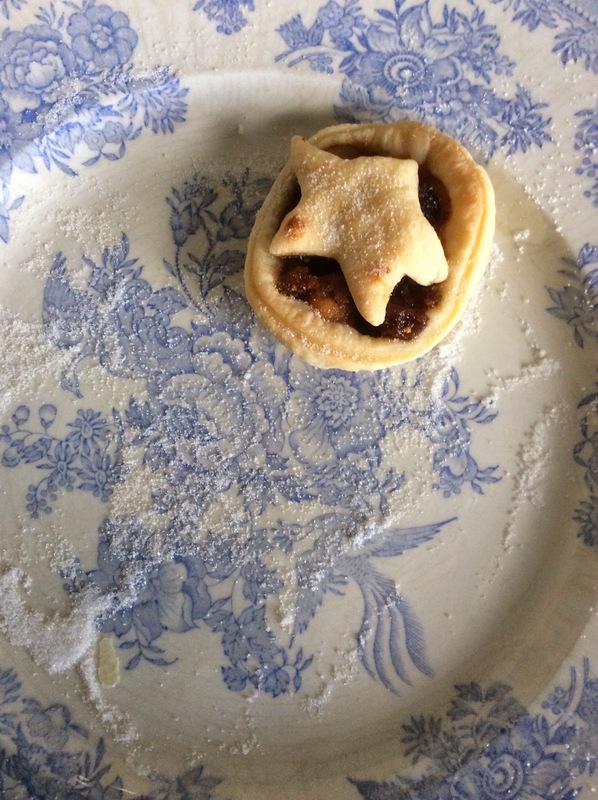 Starting with jams and jellies in September, mincemeat in October, chutney cakes and puddings in November, and finally biscuits fudge and oranges in December I've watched the season turn. Making cakes and puddings has probably been the most pleasurable part of the process because I love what they represent. They feel both ancient and exotic; filled with spices which were once more expensive than gold and still need to come from across the world. I made my first proper fruit cake a mere 4 years ago but have truly embraced the tradition to the point that I'm getting evangelical about them. 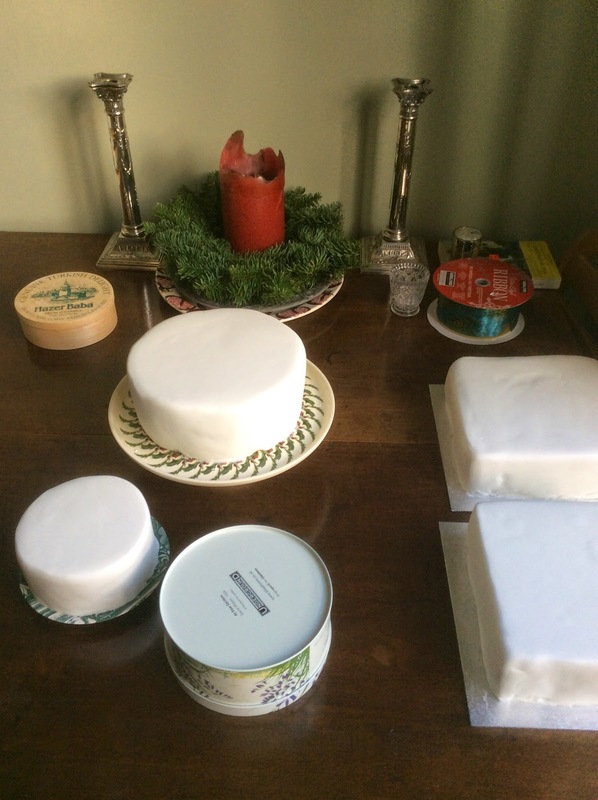 I've given 3 away this year, each (more or less grateful) recipient has commented on how large they are (I do feel for the person who had to carry one a good distance home) but I think a Christmas cake should be big. Big enough to keep you going until the days are properly lengthening again, big enough to share liberally, and definitely big enough to make their presence felt on the table. 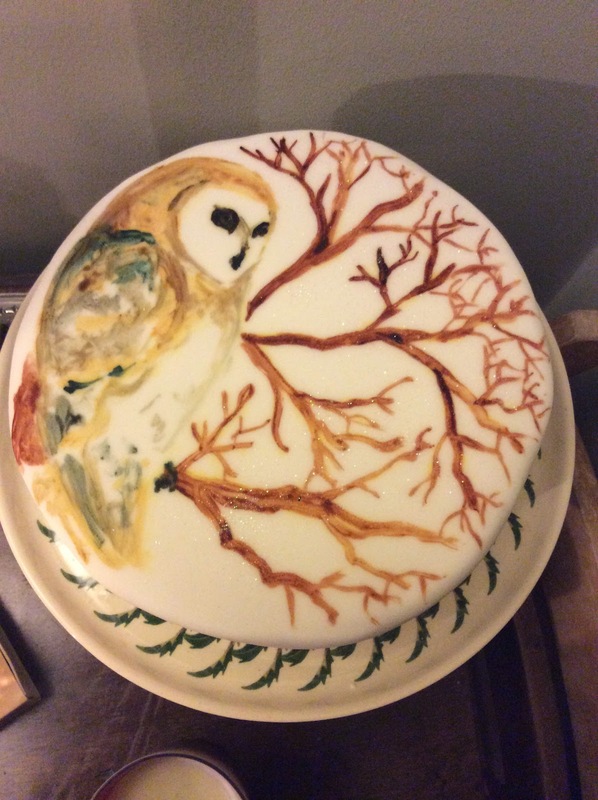 My favourite cakes this year are the 2 I painted owls on. 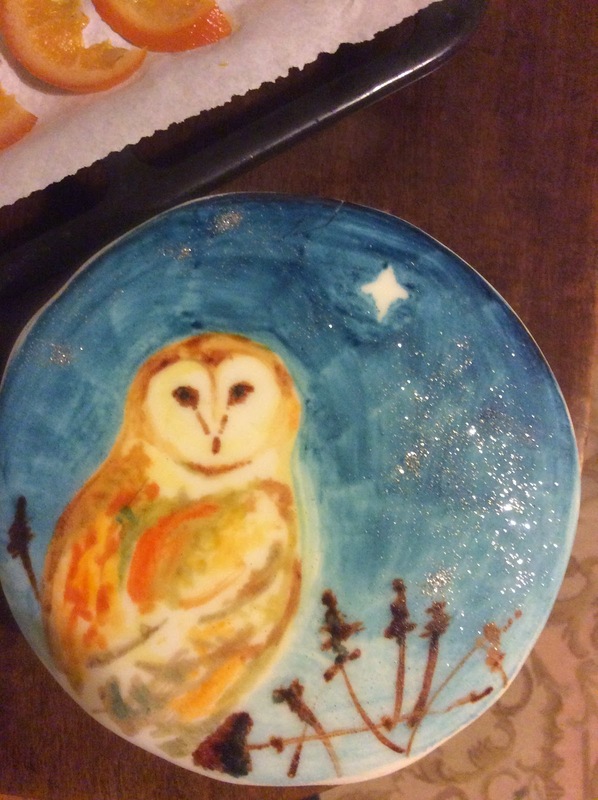 Painting cakes turns out to be more fun than I expected, the icing goes very sticky so best suits something quite sketchy - which best suits my limited painting abilities but I think the results are effective. Once you've decided what to paint and had a bit of a practice on paper the whole process is fairly quick, and best of all mistakes can be sponged off quite easily. As any regular reader will know I have a weakness for cookbooks and for my particular set of foody preferences this has been a particularly strong years I've acquired quite a few in the last 12 months (there are 19 in this picture, I'm not entirely confident that this is all of them but it's close enough, though it's likely a few more will sneak in over Christmas). I've not written about all of these, or even had a good play with all of them yet but I will. Some are also very new - I found the 'Game' one in The Works today (bargain) and 3 of them came from my Derbyshire haul a couple of weeks ago. Some are presents, some review copies, some bought in a moment of amazon weakness (though as they've mislaid a birthday gift of a particularly good sounding Belgian cookbook they're in disgrace with me at the moment). Some have been long anticipated, others were impulse purchases, all of them delight me. I'm fussy about cookbooks (honestly), even impulse purchases. They feel as personal to me as perfume or cloths (neither of which I really trust other people to choose for me) probably because my kitchen is my haven; cooking gives me a deep sense of contentment. Diana Henry's 'A Change of Appetite' is great, I've used it a lot, she is easily my favourite food writer these days - all her books are brilliant, that this one concentrates on healthy options is a total bonus. I like 'Persiana' for it's focus on flavour. It's become my go to book when I want something simple but impressive. I also like the way that some of the recipes can be thrown together quickly and then left to marinate through the day before being cooked when you need them - perfect for mid week food with friends. It's very accommodating food. Trine Hahnemann's 'Scandinavian Baking' is just a delight. It was also the final straw needed to make me bake sourdough bread - for which I'm exceptionally grateful. Full of nice things which are new enough to me to be exciting without being overly exotic. I can see this getting a lot of use. 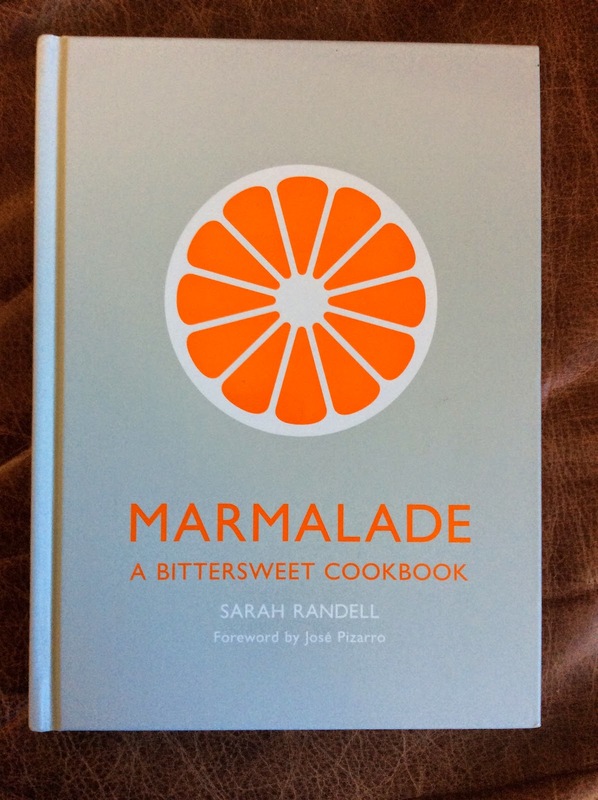 'Marmalade' by Sarah Randell feeds my marmalade obsession and is just a pleasure in every way. Entertaining to read, attractive to look at, nice to handle, and full of good ideas. Skye Gyngell's 'My Favourite Ingredients' has been out for years but I only bought it a couple of weeks ago. I like the focus on ingredients and I like the way she cooks. Her grouse in Barolo on toast was my birthday lunch - very good it was too - and again I can see a few things in here becoming regular favourites. It maybe helps that I picked it up for under a fiver in a bargain bookshop. A Year At Otter Farm is on the list too for all round inspiration - growing as well as cooking, I haven't used it as much or as recently as the others, but I have big gardening plans for next year. It really is a brilliant book for so many reasons, not the least of which being that it's a particularly good read. Today is my birthday, in a minute the writing if this post will be interrupted by (amongst other things - I can smell sausages) toast and marmalade along with a glass of champagne (or two, the interruption might be a lengthy one). After a certain age birthdays, like marmalade, are a bitter sweet event but at least one thing that getting older has bought me is an appreciation of marmalade and that's something I can wholeheartedly celebrate. We're programmed to like sweet things so marmalade can be a challenging flavour for a child, it was sometime in my thirties before I found myself wandering around Sainsbury's thinking 'if only you could get some sort of tart orange jam...' But since then I've never looked back. Once I'd realised it would probably be a good thing it seemed obvious to make my own (because I like doing that sort of thing) and having got into the habit of making my own nothing else will do. As a child life seemed full of ritual and tradition, not least because I grew up in a crofting community where the year was dominated by weather and sheep. As an adult living in a city and without children it turns out that ritual and tradition aren't the natural things I assumed they were. 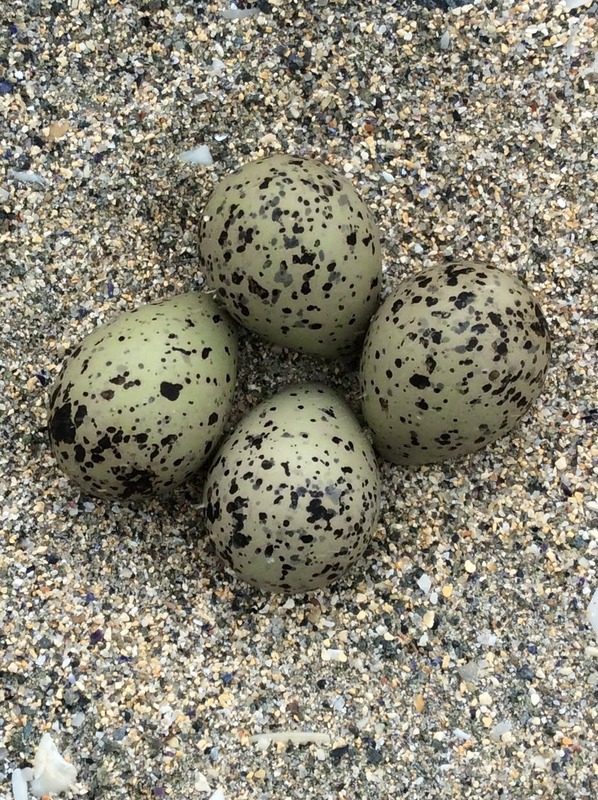 If you want them you have to put some effort into maintaining them. Most of my rituals are food based, the appearance of Seville oranges in all there slightly mis-shapen glory towards the end of January are a promise that spring is around the corner. Whilst waiting for it there's the prospect of a day spent in a warm steamy kitchen boiling, chopping and boiling some more until a decent set is achieved and your marmalade is potted. It's a deeply satisfying process when it all turns out right. However... I cleared out my cupboards earlier this year and found more than 30 jars of marmalade, some of an indeterminate vintage. Even having given a lot of it away I still have more than enough for the next years toast. As I like my late winter tradition the only answer is to find more things to do with it and that's what lies behind my principle interest in this book. As well as recipes for a variety of different marmalades (blood orange and vanilla sounds intriguing though I worry it might be a bit sweeter than I care for, the lemon and gin marmalade is clearly a must make) there are plenty of recipes for things to make with marmalade; a thing I'm always on the look out for. So far all I've actually made are some very nice chocolate apricot and marmalade muffins (the recipe is on the generous size, next time I'll need bigger muffin cases) but there are plenty of good things in here including cocktails. There are sections for breakfast and brunch, lunch and supper, puddings and tea time and it is an altogether very attractive proposition. There is also good advice on making marmalade, a collection of recipes and suggested variations on the basics including some (to me) fairly adventurous sounding combinations (orange cranberry and kumquat - which I love the sound of, and quince which I'll have a go at next year) and a bit about the history of the stuff. The basic kit necessary for preserving is small, the only thing you might not automatically have around is a sugar thermometer and some muslin (for tying pips up in) and a small collection of jars. All of them are cheap to acquire. I finally bought myself a proper preserving pan this year (it's wonderful) but even that came in at under £30. I'm delighted with this book, it's everything I hoped it would be when I first started eyeing it up months ago when it popped up on an amazon recommendation. It would naturally make a very good present for any cooks/marmalade lovers and is both a perfect introduction to the seductive arts of marmalade making and inspiration to the more practiced disciple. Basically it's a winner. Mid December and really it's all about baking when I'm not at work. The baking binge is 1 part for presents, 2 parts stress management - on the whole it demands less concentration then a book so I'm less inclined to be distracted and it's a nice thing to do. My flat smells amazing. 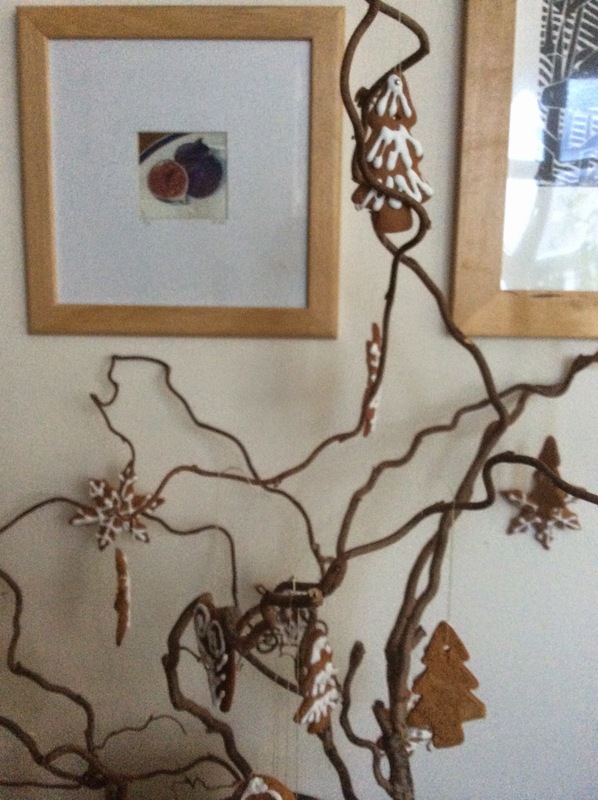 My Christmas branch has gingerbread on it which I like both because it smells great when I through the door and because I can throw them away when the time comes without any guilt. I miss having a real tree but now they all appear to be around £40 it seems like a waste of money when I'm hardly home to see it. Trees are very much for sharing. 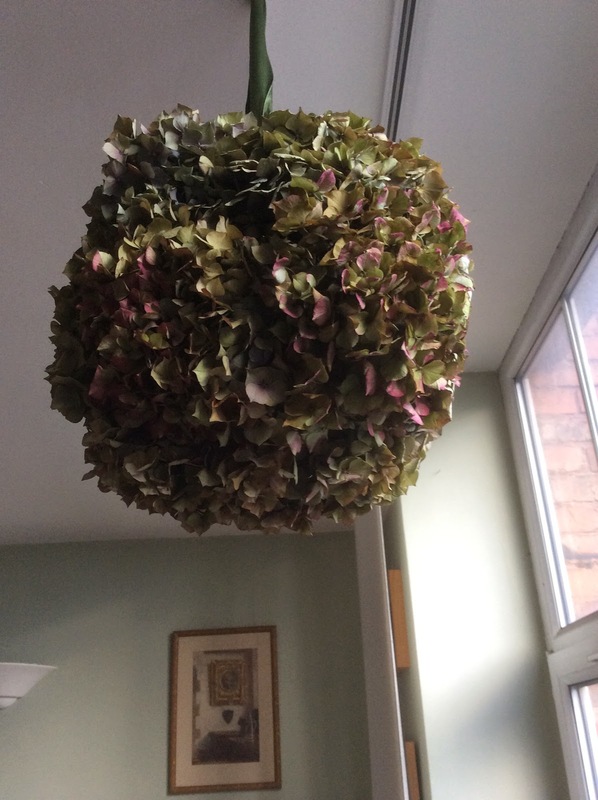 Branches on the other hand are reasonably festive, considerably cheaper than a decent scented candle, and makes me feel like I'm not a completely miserable old bag. The glass decorations can sit safely tucked away in their boxes for another year. I've been up in Derbyshire for the weekend where amongst other treats we visited the countries highest bookshop. It's a gem - a discount outlet place of the sort that is sadly harder to find these days. Every time I've been I've found a bagful of bargains, this visit was no exception. I also realised when I got home that last years purchases are still neatly piled up and as yet unread. 'The Penguin Book of Witches' is a review copy that I really wanted to read for Halloween but it arrived at exactly the same time as a huge wine promotion at work and then the moment had passed. I'll take it away with me at new year but meanwhile just look at it! It's basically an American book with an emphasis on the Salem witch trials (court documents and so on) written by a descendent of three of the accused women. It promises to be fascinating. Marina Warner's 'Once Upon A Time' is also a review copy and something I'm very excited by. A short history of fairy tale is right up my street, I should have read it when I first got it, but didn't. I have a feeling it'll set me off on something of a journey so it's another one for the new year. I bought 'Vita Sackville-West's Sissinghurst' back in the spring. I'm a fan of Vita, Sarah Raven, and Sissinghurst so am thoroughly ashamed not to have tackled this one yet. I'm not sure when I'll get round to it but it's sumptuous and has present for a gardener written all over it. 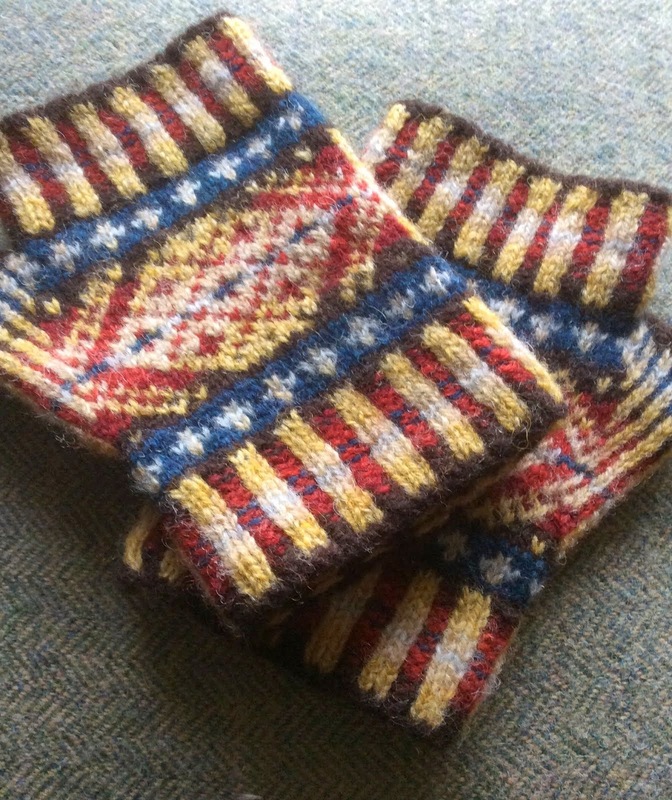 If I were a more generous person I'd give it to a dear friend who would very much appreciate it this Christmas. I'm not. I'm keeping it. I started reading Ronald Firbank's 'Vainglory' last December and utterly failed to finish it. I'm going to admit defeat with this one, the moment has passed. 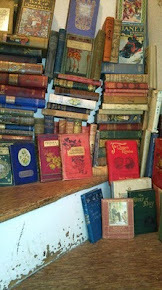 It came from a very nice man who reprints books he feels have been unjustly neglected. I have some later Firbank (unread) so thought that this, his first book, would be interesting. It's full of very clever one liners but not much plot. It is interesting, and when I get round to reading his more mature work I might well want to re-approach this book but for now it's finding a place on the shelf rather than by my bed. 'The Bloomsbury Cookbook' was another purchase from quite early in the year. It is intended to be my way into a greater appreciation of the Bloomsbury group, and from the occasional dip into it it's going to be really interesting. It has food, art, history, and gossip. All things I'm fond of but Bloomsbury has never really done it for me which has possibly stopped me from really getting stuck in. I'll make the effort soon. R. F. Foster's 'Vivid Faces' is a book I've hoping someone would write for a while. I have Irish family and back in the days before a mortgage used to hop over to Dublin reasonably every so often (you could buy Pol Roger rose champagne in Dublin airport at a price that pretty much paid for the flight). Walk around Dublin and you can't help but be aware of the events that led up to independence but when I looked for a suitable historical overview I couldn't find anything. Vivid Faces promises to be the book I've been looking for. It surveys the lives and beliefs of the people who made the revolution and will, I hope, be illuminating. More shame for not yet having read it. I was asked if I'd like a review copy if George Mackay Brown's 'Greenvoe' and when I realised I'd lost the copy I liberated from the school library in 1989 I said yes. I love his short stories which beautifully capture a time and place but haven't yet managed to read a whole novel despite one or two attempts. It's not good enough so I will read this (especially as I promised I would when I said yes to the book). Reading the back blurb it sounds more appealing than it did back in '89, I'll let you know. The very title of this book mocks me... 'Belated' by Elizabeth Russell Taylor. It's another review copy and more importantly a collection of short stories with glowing reviews. I read one on holiday in the summer - it was great, but again I got distracted. I may even start again this week. 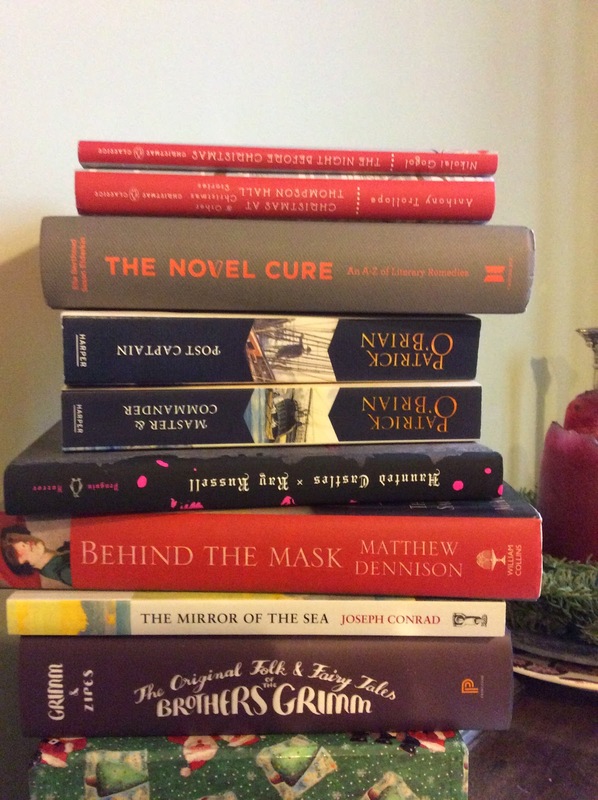 Top Ten Books of the Last Twelve Months. It's that time of year again... 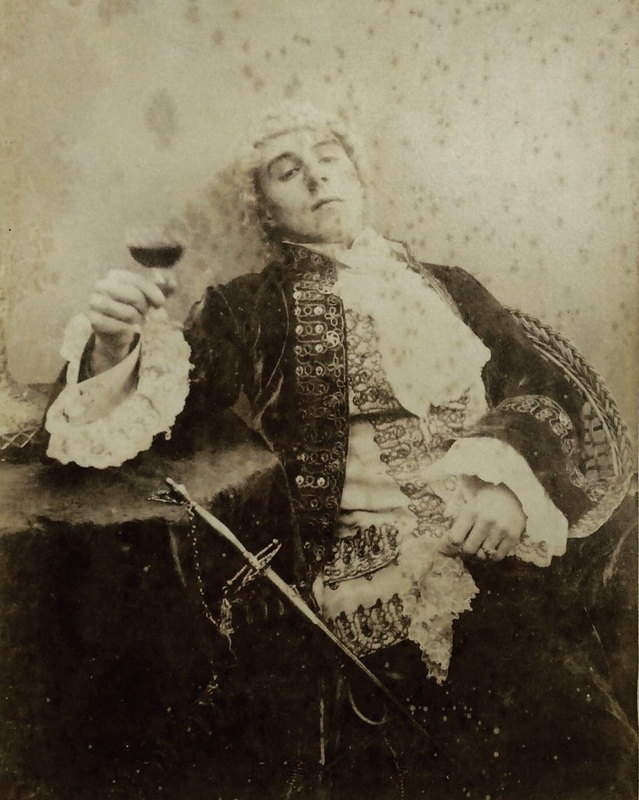 I've been savaged by cardboard boxes (fast aproaching death by a thousand paper cuts), overwhelmed by a tsunami of wine, and seem to have directed every second person I speak to towards the mulled wine. The only things missing to make it truly begin to feel a lot like Christmas are increasingly fraught conversations about an item we categorically do not stock/does not exist/the customer can only identify as being 'a wine with a whitish label, I think...' (It rarely ends well) and end of year lists. December is a bit of a lost month for me (I assume this is common) between work, birthdays, Christmas related chores (enjoyable or dutiful) it disappears, so although my top ten list runs from November to November it didn't look like I did any meaningful reading last December at all. This one is shaping up to be the same. I haven't read as much this year as I would have liked but there have been some amazing books. 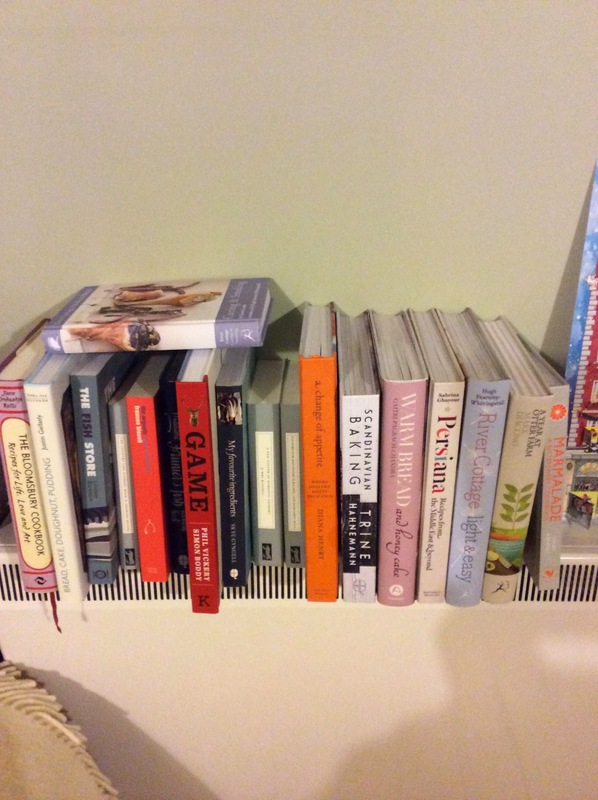 My long list had quite a few cookbooks on it which I've regretfully knocked off in favour of (mostly) fiction. If I get organised they'll get a post of their own. 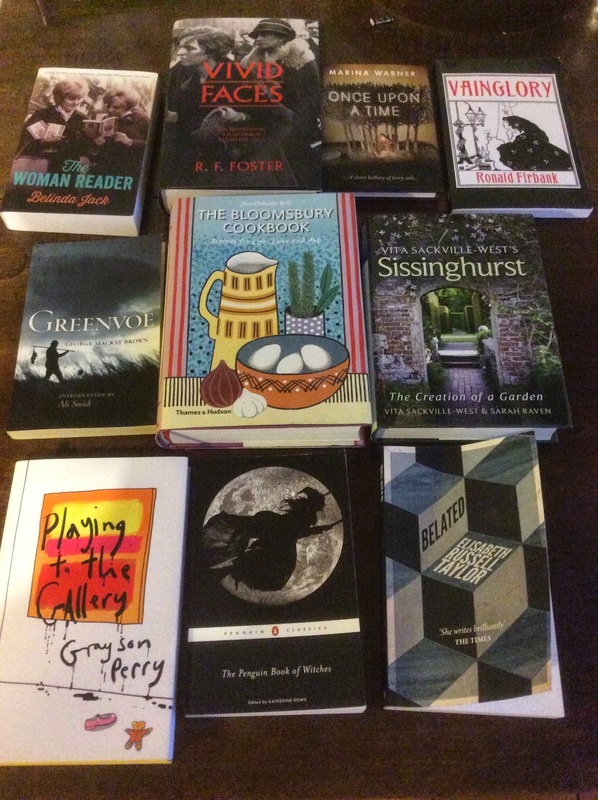 There might also be a post of the 10 books I wish I'd got round to by now (there time is coming). First on a list which is basically chronological are L M Montgomery's Emily books. A bit of a cheat as there are 3 of them, but I'm sure they must have been published in a single volume some time and they're more than the sum of their parts. 'Emily of New Moon', 'Emily Climbs', and 'Emily's Quest' gave me a whole new view of a beloved childhood author. I'm sorry I didn't meet Emily as a child, she would have been a great role model, but I'm delighted Virago have reprinted these so they're easily available for a UK audience. It's Emily's uncompromising ambition for her chosen career along with Montgomery's love of Prince Edward Island, and her sense of humour that make these books so special. Next is 'Troubled Daughters, Twisted Wives' a collection of short stories edited by Sarah Weinman. Lots of authors I already loved in here along with more to look out for. Just a brilliant collection of suspense filled stories that I can't recommend highly enough. Emile Zolas 'The Fortune of the Rougons' was a bit of a revelation. After 20 years skirting round him this turned out to be a brilliant read. I like books that give me really strong visual images and even now, months later, I can picture scenes in the old graveyard, or of moonlight marches as if they were places and things is seen. I plan to work through the whole cycle, realising how much I'm going to enjoy doing it was definitely a highlight of my reading year. Eliza Granville's 'Gretel and the Dark' was an unexpected Joy.I read it because I was interested to see how the fairy tale element would work. Far better than I could have hoped for was the answer. Granville taps into something fundamental about the nature of fairy tales and story telling and creates something wonderfully dark in the process. Stefan Zweig's 'Beware of pity' is the sort of book I feel I ought to read but rarely do. Once I'd settled down to it I felt like whole reading avenues were opening up for me. Of all the things to say about the most important is that it was utterly absorbing from start to finish. Peirene books are always interesting and generally provocative. I was tempted to choose Hanne Orstavik's 'The Blue Room' (which is brilliant) but on balance Hamid Ismailov's 'The Dead Lake' had the edge. The environmental cost of the Cold War seems almost forgotten now but this book perfectly captures the paranoia I felt growing up in the 80's as well as the weird elements of places on the periphery of human habitation. 'Mystery in White' is the Christmas offering from the British Library's classic crime series and it's brilliant. Undoubtedly the perfect stocking filler for anyone who's as much as mildly enjoyed an episode of Miss Marple. The biggest mystery based on this is how Farejeon's work ever disappeared so completely. 'The Rabbit Back Literature Society' would have been a very easy book not to read (the title gave me an entirely inaccurate idea of what to expect). Anything with a mythic or fairy take element hooks me in, this has it in spades. It's also a book with a strong sense of terroir (to borrow a wine term) and I loved that about it too. Helen Macdonald's 'H is for Hawk' is every bit as good as everybody says it is. I love it for the way it does, or is, a number of different things and works as all of them. If I had to pick a specific strand it would be how Macdonald tackles her reaction to her fathers death. Crippling grief followed by depression - it can't be unusual but I'm not particularly aware of people talking about it in the way Macdonald does. She shares enough to be helpful, but is not I think overly confessional, but in the end that's only part of a rich tapestry of a book which I look forward to reading many more times. 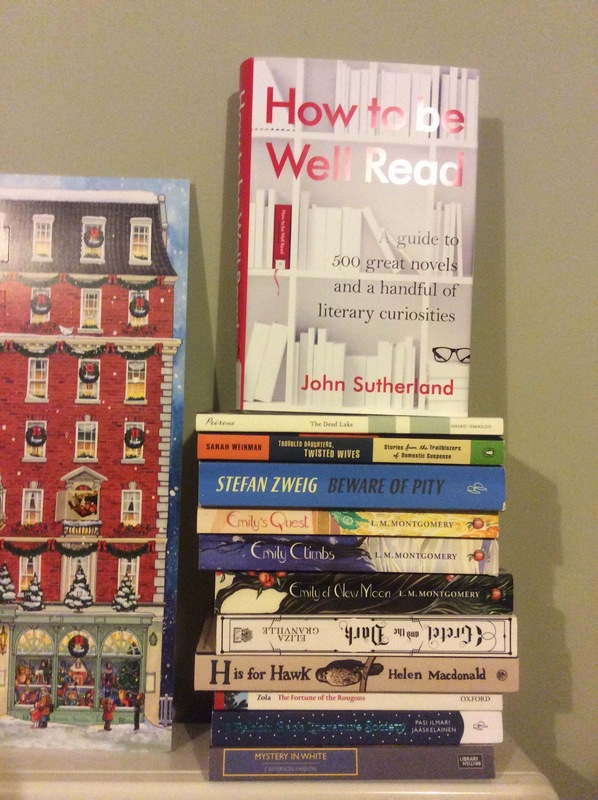 Last on my list is John Sutherland's 'How to be Well Read'. This is another one that is perfect stocking filler material for the reader in your life. I'm a big fan of Sutherland's books, it's the mix of humour and learning that I find irresistible (and maybe the list aspect too). This one didn't disappoint. I've been reading his books since I picked up a copy of 'Is Heathcliffe a Murderer?' In 1998 and keep going back to them. 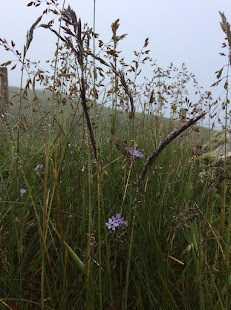 I've basically written this post before and am sure I will write it again (many times) but stuck with me - it's something I feel strongly about. For the last 17 years I've worked in retail in everything from one shop independents with a workforce of 2 to supermarket chains with - well a lot more than 2. I remember book selling before amazon, buying wine before the supermarkets really got in on the game, and a time when Black Friday meant absolutely nothing in this country. I enjoy shopping; I like browsing and hunting for bargains, I love the moment when you finally get to buy something a little bit more than you can easily afford, and I really love choice. My first Christmas in a shop was an eye opener, people spend so much money. Are under so much pressure to spend money to buy the perfect Christmas, and on the other side of the till we really need it. This is the make or break time of year where you hope turn over and margin will combine to provide enough profit to keep you afloat. There is nothing more dispiriting than working till you can physically do no more and realising you still haven't quite met budget. Earlier in the year there was a minor outcry when a Sainsbury's branch inadvertently displayed a motivational poster meant for staff eyes only in a window. It set the goal of getting every customer to spend an extra 50p per shop. For a supermarket that turns into a huge amount of money, for the customer it wouldn't buy a Mars bar. At the other end of the scale working in very small outfits it only takes a few customers to make the difference between profit and loss so my point is this; as we all prepare to spend to much money on things we don't really need let's think about how and where we do it. As customers it's no use complaining that big shops kill the independents if we're the ones abandoning the little guys. There are more important things than a bargain, for me it's choice, or when it comes to food, welfare (including that of the producer). At this point last night when I was writing this I decided to delete it thinking that it might all come across as a bit preachy to people I assume feel much the same as I do. Then this morning radio 4 talked about cyber Monday (estimated 600,000,000 sales online), a discussion about the plight of dairy farmers continued on Facebook (high suicide rates as they fail to make ends meet) and finally a goodish news story - Waterstones say if they have a good Christmas they'll Break even for the first time in a while. It's important to think about how we spend, it determines how our high streets look, how people make a living, and the choices we want to make regarding those things. In the end I'll still hunt for bargains because money is tight, but cost isn't the only element that determines value and I want the money I have to do as much good as it can.